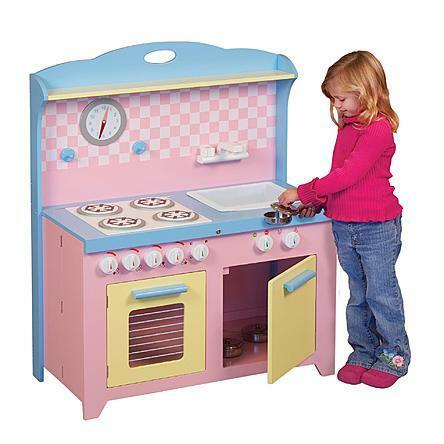 Guidecraft Hideaway Playtime Kitchen Just $105.95! Down From $263.99! You are here: Home / Great Deals / Guidecraft Hideaway Playtime Kitchen Just $105.95! Down From $263.99! Sears has this Guidecraft Hideaway Playtime Kitchen on sale for $105.95 (Reg. $263.99)! A best-selling concept – children’s dramatic play kitchens – just took a great leap forward with the addition of the Hideaway Playtime and Country Kitchens! In a few simple steps, the Hideaway Kitchen compacts to a depth of 6″, allowing it to be efficiently stored when not in use. Offers plenty of features including a sink, a stove, an oven with pull-out rack; a dishwasher; functioning knobs, clock and more. Adult assembly required. Ages 3+ 30″ W x 15.25″ D x 38″ H.